Amazon.com description: Product Description: Variantology 4 revisits the early western encounter with the technological marvels of early Arabic culture. It presents scholarship on a range of subjects relating to the overlap between the arts and the sciences, from musical automata to theories of music and dance. Along the way, an impressive roster of historians of the arts and the sciences transport us to such phenomena as the ninth-century House of Wisdom in Baghdad, where programmed music automata were conceived and built; to a darkened chamber in Cairo, where in the early eleventh century the laws of seeing and visual perception were rewritten; to the Al-Jazira region between the two rivers Euphrates and Tigris, where in the eleventh and twelfth centuries automaton theaters were devised in fascinating intricacy. Andalusia, India, Iran, Istanbul, Syria and the Three Moons monastic school in Beirut provide further stops on an expedition that celebrates technological marvels and wonders and the pivotal role of Arabic-Islamic culture in the prehistory of the arts and media. 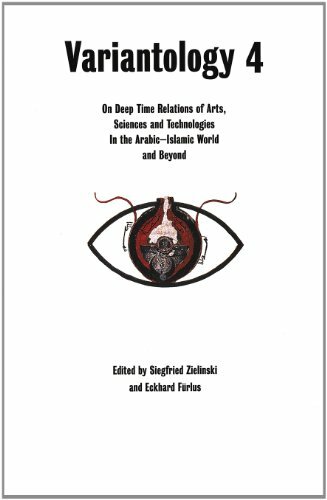 About: Variantology 4 revisits the early western encounter with the technological marvels of early Arabic culture.